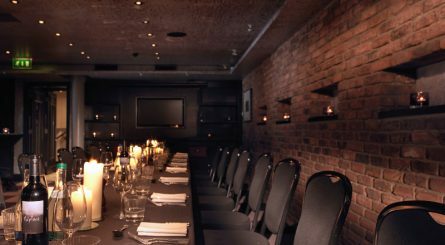 Private dining rooms in Belfast. Find a venue for hire. The live film ‘set’ of Game of Thrones and where the RMS Titanic was built, its new state of the art exhibition has just been named one of the World’s Leading Tourist Attractions. There is a real buzz about the city, with a huge variety of things to do and see. From grand historical buildings such as the cathedral, castle, City Hall and even the gaol at Crumlin Road, to more family friendly outings such as the Zoo and W5, there’s also the Old Bushmill’s distillery for whisky lovers. The culinary scene in this rich and diverse city is equally diverse – a hotbed of food markets and artisan producers – with hotels offering elegant afternoon teas, award-winning and Michelin starred restaurants showcasing the region’s rich provenance, casual eateries with delicious traditional Irish dishes, craft beers and pub trails. There’s something for every type of event from discrete dinners to lively Irish-spirited parties, corporate entertainment and weddings.